Having the best mortgage advice is invaluable. Whether you are a first-time home buyer, looking for the second mortgage or refinancing an existing one, having the best mortgage broker in Edmonton is priceless. While your mortgage broker can give you a lot of information and insights, it is best to have some preliminary knowledge so that you can manage your finances efficiently. One of the things that most mortgage brokers often get questioned about is RRSP. RRSP (Registered Retirement Savings Plan) is a kind of Canadian account which hold your savings and investment assets. RRSPs have many tax advantages compared to investing outside of tax-preferred accounts. Although many people know about RRSP, there is a lot of ambiguity and lack of knowledge among people which creates confusing and misleading information to be circulated among the masses. Here are some commonly asked questions about RRSP. Addressing the fundamental question in detail, RRSP is a tax shelter which helps a Canadian citizen or a PR holder above the age of 18 years and employed to save for retirement. The money that one contributes to the RRSP is tax-free and you receive a tax credit for every dollar that you deposit in your RRSP account. What more the money in your RRSP continues to grow tax-free and is subjected to tax only at the time of withdrawal in retirement. RRSPs can have many other forms than cash like bonds, mutual funds, ETFs and other types of investments. RRSP work almost like your general savings and investment products but has a significant tax saving. You can open one or many RRSP accounts with your bank or an investment advisor. Your RRSP account provider is obligated to keep a track of your contributions in the RRSP account and send your RRSP contribution receipt every March. When you do your taxation, your RRSP contribution will be deducted from your taxable income and will, in turn, reduce your overall tax liability for the year. What more any interest earned on your RRSP is allowed to accumulate tax-free. You can invest the money in your RRSP in just about anything you want, except real estate. Upon retirement, once you start withdrawing your money from your RRSP account and your RRSP provider will withhold income tax from your withdrawal like in case of your employer. In addition, your RRSP provider will give you a T4 slip that shows you the total amount of money that you have withdrawn from your RRSP for computing your tax. Although anyone can open an RRSP account above 18 years of age and with employment, you need to dissolve your RRSP account at 71 years of age and convert it to a to a different type of registered retirement account. Although we have attempted to answer some basic questions about RRSP, there are many aspects like how much to invest, how much can you earn and whether RRSP is transferable, etc., that one needs to gain knowledge of before investing into RRSP. It is best to approach a qualified and knowledgeable Edmonton based Financial expert like Collin Bruce to get all your questions addressed accurately. 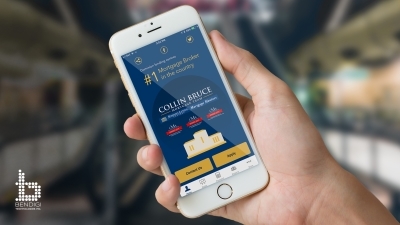 For more tax saving and financial planning tips, visit Collin Bruce today.